I want to play, too!! Sign me up …..no GRE required, right??? I apologise for my totally overused words in my first paragraph above. In my defence, I can only blame Emma’s overuse of “English” as the cause. Yes, Poe is an interesting choice…I threw in the Tell-Tale Heart because I LIKE it and it shows the psyche of guilt (or some such tommyrot). :D And Hebrew…dear, dear Hebrew. 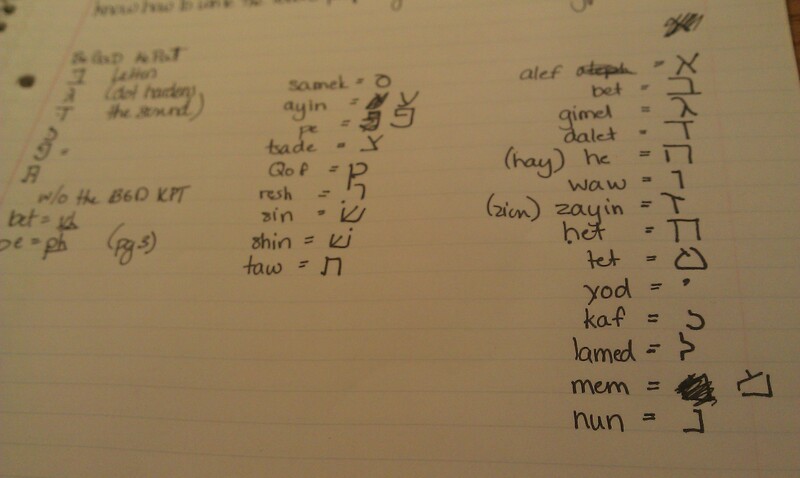 I’m pretending it’s a Tolkien fantasy language that has no relation to the language I currently speak. This seems to help. ;) I’d love to see that picture!